West Coast Market Square is just a couple of bus stops away from where I stay. Occasionally I will go there for a quick meal. 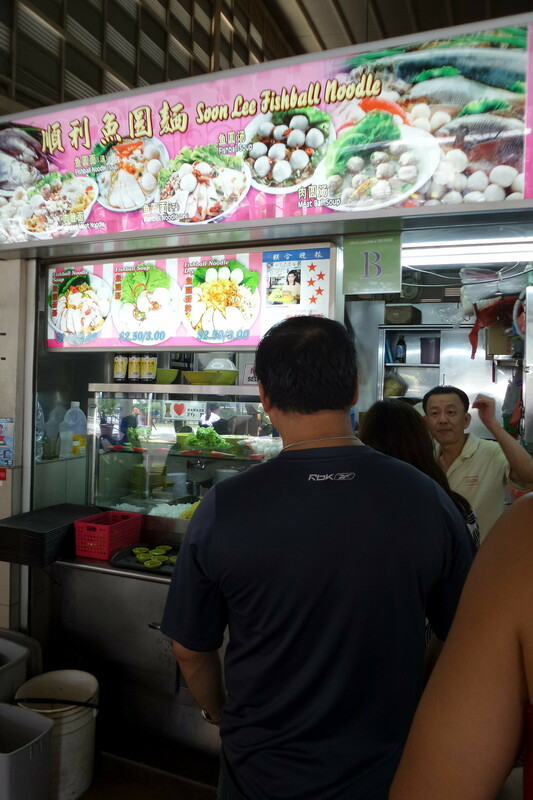 One stall that I frequent often is Soon Lee Fishball Noodle. It is also one of the few stalls at the food centre that has a queue. 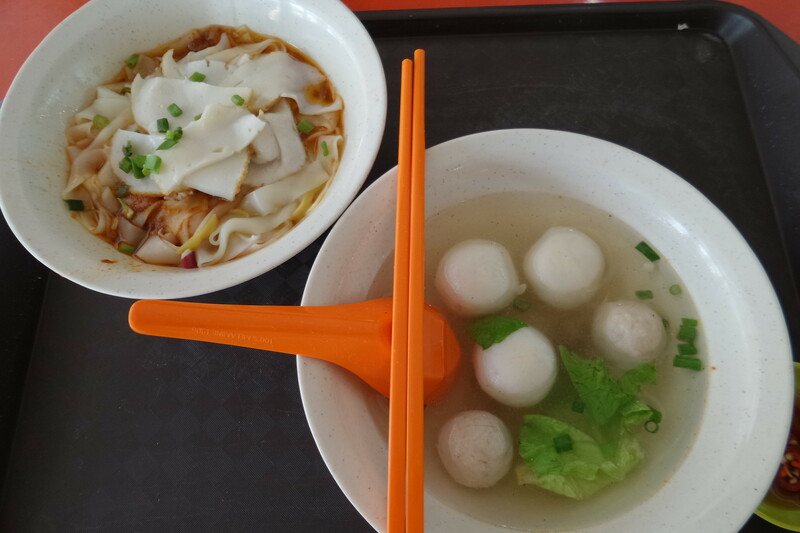 A bowl of Fishball Noodle ($2.50/$3) comes with some fish cake slices, fishball. meatball and a bit of minced meat. The noodle here is only decent with a rustic taste. If I a not wrong, the fishball and meatball should be factory supplied. The fishball is indeed very springy and bouncy but I hardly tasted any fish flavour in it. 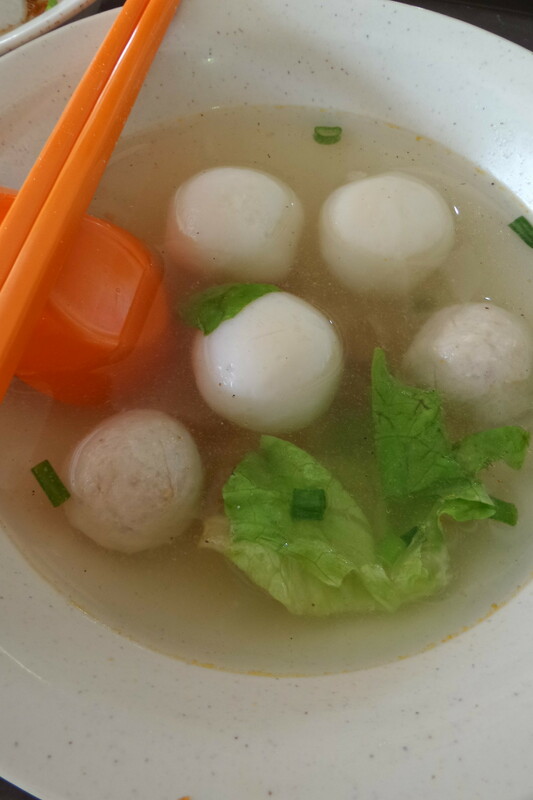 It even comes with a bit of saltiness that seems quite common with factory made fishball. The meatball fares better with its taste and texture. I am not sure why the stall usually has a queue. The fish ball noodle is really just average. I will assume of it strategic location facing the main road as well for the fact that there is no other fishball noodle stall at the food centre. I have yet to try their mee pok. I shall do so next time. 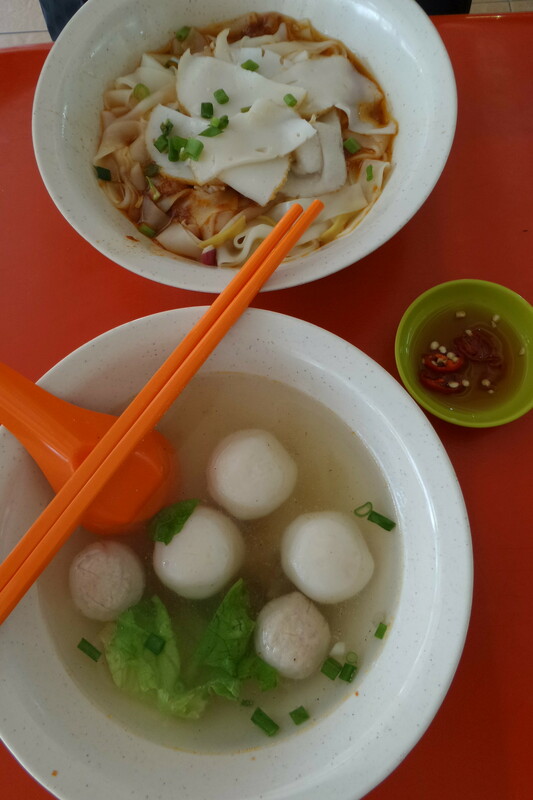 try Soon Heng Fish Ball Noodles (at the soya bean stalls stretch); their fishballs is handmade and really good. they usually sell out by noon though. there's also a fishball stall near the kueh stal, worth a try. the uncle makes his own meatballs, and fries his own lard. Thanks for the info. I shall try it next time. What To Eat At Jewel Changi Airport? Mr Biryani: Hyderabadi Biryani, finally? Ruby Chocolate Now in Singapore: The #Rubylicious Adventure Begins! [London] Kym's: When you crave Chinese. Monti – Singapore’s Longest Brunch Buffet with a Stunning View! This work by SG Food on Foot is licensed under a Creative Commons Attribution-NonCommercial-NoDerivs 3.0 Unported License. © All Rights Reserved. SG Food on Foot. Awesome Inc. theme. Powered by Blogger.